Rob was born in Rotherham, England and graduated from the University of Central Lancashire in 2012 with a BA (Honors) in Sports Coaching. During his career at University, Rob was part of the Football team both on and off of the field, working behind the scenes in coaching and statistical analysis. Rob first came over to the US in 2012 working in Ohio and Kentucky before heading to the east coach in 2013. During this spell Rob worked all over New England running Summer Camps as well as working with Windham Youth Soccer (NH) as a club trainer for two years. Joining Seacoast United full time in 2015, Rob started at Seacoast United Storm as Club Registrar, Junior Academy Director and head coach before moving to SUSC's main offices as head coach and Summer Camp Director for MA, NH and Southern ME as well as directing Seacoast United’s Training Academy taking place on the campus of Berwick Academy for two weeks each summer. 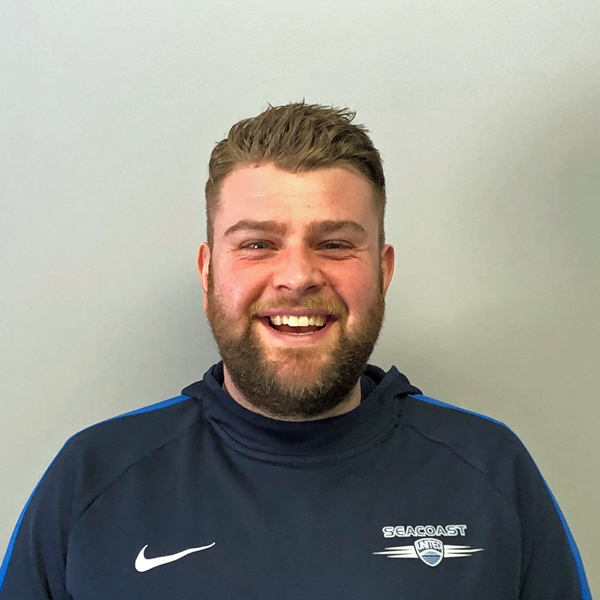 Working closely with Seacoast’s community partners, Rob currently also assists with Garrison FC in creating a curriculum and coaching philosophy to aid and assist youth development in soccer.